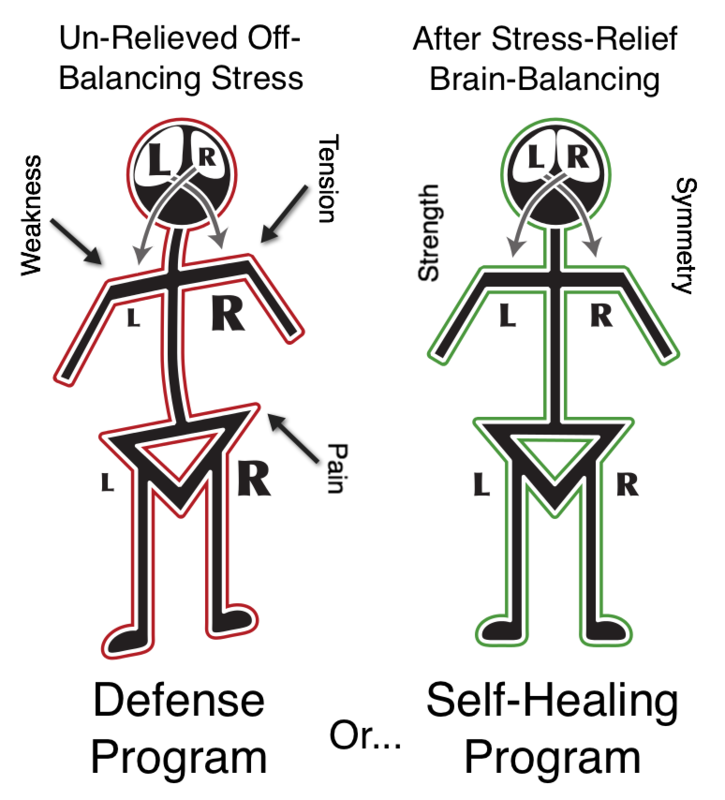 Much of your vital energy is being misdirected to the stress response. This not only limits personal growth and achievement, but it can lead to illness, a wide range of 'diseases' and premature aging . . . Imagine being your best, every day – without stimulants or prescriptions. Yes, it is possible. You can gain access to your ‘other self’ – the one you know exists, but you just haven’t seen in a very long time. 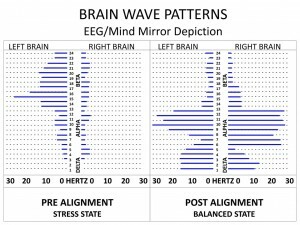 Consider the brain wave patterns on the right. The left EEG depicts an individual in a brain stress state with a right hemisphere so inactive it looks to have sustained a TIA (mini stroke). This is key to understanding why you may be (and even feel) limited on many different levels. Now consider the brain wave pattern on the right. It shows a dramatic reduction in operating speed, from Beta frequencies of 15 Hz and higher, to Alpha frequencies of 8 to 14 Hz. The most astonishing result is complete restoration of all productive frequencies to the right brain – the one that was experiencing ‘brown out’. 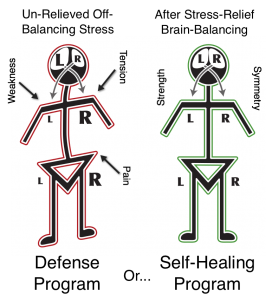 This has an enormous impact on the person’s relationship to stress and their ability to access the body’s innate intelligence that is able to resolve even the most difficult physical and emotional challenges. Alphabiotics is a hands on process that involves no drugs, meditation or machinery. Benefit from whole brain – full alpha function, reclaiming energy wasted on the stress response. Members report physical, mental and emotional renewal. Sessions are brief and affordable. Alphabiotics is changing lives. How might it change yours? To learn better what this exciting process might do for you, phone 617 930 2133 (Boston, Massachusetts) or contact us . Participation limited. Membership qualifications apply. Contact center for details.